Alan earned a B.S. in Physical Education and Exercise Science from The State University of New York College at Cortland in 1989. He then earned an A.S. in Physical Therapist Assistant from Cerritos College in Los Angeles, CA in 1992. 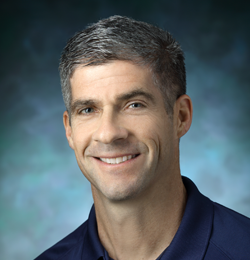 Since then, he has taken many courses in manual therapy for the upper and lower extremities, and the spine, as well as courses in lower quarter biomechanics, plaster casting for orthotics and Running Medicine. Alan is an orthotic specialist and uses both plaster and 3D cameras for foot casting. For many years, he has fabricated different types of orthotics such as low profile sport specific, and “dress shoe” as well as accommodative devices for the geriatric population. He also fabricates braces for conditions such as severe Posterior Tibialis Tendon Dysfunction. Alan also has a keen interest in adult physical fitness, particularly as part of the rehabilitative program for patients following orthopedic surgeries such as total joint replacement, rotator cuff repairs and various lower extremity injuries. He incorporates weight bearing forms of functional exercises such as balance training, core stabilization and maximizing cardio-vascular endurance when appropriate. Alan holds a patent for a mechanical device called “The Dorsiglider”, which he designed to rehabilitate his own ankle following surgery. The device helps patients maximize ankle dorsiflexion by mobilizing the Tibia-Talus joint. Outside of work, Alan is an avid runner and triathlete.